LAS VEGAS – January 6, 2016 – Gibson Brands is proud to announce an exciting variety of products from across the company’s dynamic portfolio of brands will be showcased at the Consumer Electronics Show (CES) trade show in Las Vegas (January 6-9, 2016). 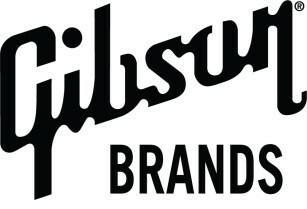 The spectacular assortment, representing the highest quality and value for consumers, will be showcased in the Gibson Brands Showcase, located at Central Plaza (CP1), directly across from the Central Hall of the Las Vegas Convention Center. Gibson will offer an entertaining retreat from the fast-paced show floor, allowing attendees to re-charge (devices and themselves), while discovering some of the fantastic new Gibson Innovations products, including an assortment of Philips Headphones, Speaker Systems and Sound Towers, Multi-Room Speakers, accessories and more. Gibson Innovations, a part of Gibson Brands, is a global powerhouse and holds leading market positions in key categories including audio systems, docking stations, sound bars, headphones and connected audio. Its products deliver on its commitment to meaningful innovation in sound and entertainment. With its roots as the audio, video and multimedia division of Dutch electronics giant Royal Philips, the company’s heritage includes the invention of the compact cassette recorder, CD, DVD and Blu-ray. Trainer by Gibson is a new health-focused brand that captures the essence of Gibson’s heritage of innovation, quality, design and technology into headphones designed for improving the experience of exercise. Trainer by Gibson has been created in partnership with Usain Bolt, the fastest man alive and six-time Track & Field Olympic Gold medalist. The wait is over for consumers who want more music, with less noise! Philips Active Noise Cancelling (ANC) Headphones breakthrough range of releases makes cutting-edge technology available for anyone to use in any situation, eliminating up to 99 percent of background noise. Offering a great selection to meet any need and price-point, the three fantastic new releases include the SHB9850NC, SHB8750NC and SHL3750NC models. The Philips SHB9850NC wireless ANC headphones use breakthrough ActiveShield ProTM technology to eliminate 99 percent of background noise. It houses four microphones that monitor ambient sounds and invert them, effectively converting them into silence. By using two external and two internal microphones in a ‘hybrid’ setup, the headphones cancel noise from the entire spectrum of sound. The result is a totally uninterrupted listening experience, perfect for those who want music without compromise wherever they go. The Philips SHB8750NC headphones have full wireless Bluetooth capability and a 16 hour battery life. It’s lightweight and foldable, making it the perfect choice for the music fan that’s always on the move. ActiveShieldTM technology allows you to experience virtually noise-free music playback, with two noise sensors working in tandem to cancel out 97 percent of background noise. The Philips SHB8750NC’s twin 40mm neodymium drivers deliver sound quality to match the very best headphones around. These headphones include multi-pair technology and the earshell smart controls let you easily control calls, music, volume and more. The Philips SHL3750NC headphones epitomize Philips’ philosophy of making active noise cancelling technology a part of everyday life. The lightweight and foldable construction makes it a great choice for the discerning music fan. The Philips SHL3750NC uses ActiveShieldTM technology to eliminate 97 percent of ambient noise and its twin 32mm neodymium drivers deliver audio quality and range unmatched by similarly priced competitors. Never before has active noise cancelling technology been so attainable. The newest addition to the award winning E-Series range, the exciting Fidelio E6 continues the distinctive design of two wireless detachable speakers which can be positioned around a room to deliver immersive 5.1 surround sound. Combining high-definition sound, sleek design and innovative connectivity, to offer consumers an unparalleled listening experience, it features an innovative center audio channel configuration, as well as unique spatial calibration technology to deliver an immersive surround sound experience that fits around the listener. Integrating Google Cast® and Spotify Connect®, the Fidelio E6 allows consumers to listen to music easily, conveniently and with exceptional quality that surrounds. The stylish Fidelio E6 features two front speakers, measuring 40cm tall, which create superb stereo sound in their normal configuration. Their top sections can then be detached and placed elsewhere in the room for instant surround sound. With the Fidelio E6’s unique Spatial Calibration algorithm, the detached system delivers a perfectly balanced sound regardless of speaker placement. A first for the Surround on Demand range, the Fidelio E6 features angled three-inch drivers dedicated for the center channel within the front speakers. They direct sound towards the center of the sound stage, resulting in crystal clear voice clarity and immersive 5.1 channel sound. This cinematic effect is enhanced by the wireless subwoofer, which delivers rich and deep bass. The Fidelio E6 has HDMI inputs for easy setup, and a full HDMI 4k pass-through that allows you to enjoy HD content. The Fidelio E6 can also be used to listen to great quality music, connecting with up to three different Bluetooth devices simultaneously. Also, built-in Google Cast and Spotify Connect allow for a simple and seamless playback experience directly from the cloud, so users can enjoy crystal clear sound from favorite apps exactly the way the artist intended, without mobile device interruptions. Providing up to five hours’ battery life during music playback, the detachable speakers can be used anywhere in the home and when finished, users simply place them back on top of the front speakers and they’ll recharge automatically. The exciting Philips ‘izzy’ wireless Multi-room Speaker Range is an easy to use and intuitive home audio solution that allows consumers to enjoy streaming music without a premium subscription, in up to five locations. While other systems restrict streaming to only one device simultaneously, requiring premium subscriptions for multiple speaker streaming, with ‘izzylink™’ technology and ‘izzy’ speakers, users simply tap a button to link multiple speakers, with no need for a router, password or even an app. Using the ‘izzylink’ wireless technology, up to five izzy speakers can be linked as a wireless network instantly. Simply play music on one izzy speaker and press the “Group” button to share the same music to other in-range ‘izzy’ speakers. Offering even greater value and flexibility, the ‘izzy’ Multiroom Music System also allows users to choose to utilize all speakers for the same audio, or each be connected to different devices for individual uses, creating a truly flexible audio ecosystem that fits the active lifestyle of today’s music-loving consumers. Philips ‘izzy’ speakers work with all music apps, so users can stream music wirelessly from any Bluetooth®-enabled smartphone or tablet. They support multisources including radio, CD, USB and Audio-in music. ‘Izzy’ product offerings include models spanning different form factors, sound solutions and features, to allow enjoyment throughout the home and even outdoors. Gibson Innovations takes Philips’ reputation for innovative home cinema sound systems to the next exciting level — with the small yet powerful Fidelio C1 Compact Soundbar. Combining a remarkably small footprint and wireless simplicity with big, immersive sound, it creates a powerful home viewing audio experience, perfectly matched for the demands of today’s HD consumer. The stylish Fidelio C1 utilizes Microbeam© technology that combines four high sensitivity, precision angled drivers with advanced digital sound processing. Two explosive new additions to the popular Gibson Innovations Nitro NX range of Mini Hi-Fi home systems, the NTX400 and NTX600 bring more exciting nightclub-worthy blasts of sound and light into the home in 2016. These fantastic new releases will thrill music fans with super sound power and thumping bass, pumping out 1000W and 2400W, respectively, with a peak output of over 28,000W. Complimenting the powerful audio, the hot new Nitro releases also include fantastic on-board LED lighting that marries spectacular beats and pulses with the music for a fantastic true club feel. Allowing the ultimate in flexibility, both new releases connect to MP3, CD, USB, or other devices via Bluetooth® technology and include an audio-in jack for plug in, so that either way — the party is just moments away! Helping bring the NTX400 and NTX600 to life is breakthrough NX Bass technology and a powerful five-band equalizer that allows music-lovers to crank the bass on Philips Nitro NX Mini Hi-Fi systems to extremes at the push of an NX Bass button. Each of the accompanying LED light beams feature 260K of color to supercharge the party, while allowing for customization and personalization so that colors can be created to match the theme of any party, or a selection of preset lighting programs come standard. With the NTX600, Philips includes two fantastic functions that help hosts focus on enjoying the party… not focus on playing it, including allowing users to designate their choice of up to six preset music genres including Rock, Hip-hop, Pop and more, to automatically adjust the event’s sound signature. The NTX600 also features ‘Auto DJ,’ an automatic dedicated crossfader to the immense bass and party lighting capabilities that seamlessly mix songs. This function mixes tracks and adds exciting sound effects. In partnership with Gibson Innovations, Onkyo of Japan has announced the release of Onkyo E900M, A800 and H900M Premium High Resolution Audio headphones. Part of the full Onkyo speaker and headphone range being shown for the first time at CES Las Vegas, these hybrid dynamic balance armature In-ear phones (E900M), premium opened acoustic In-door headphones (A800) and premium closed acoustic over-ear headphones (H900M) incorporate advanced audio technologies to achieve High Resolution Audio reproduction. In partnership with Gibson Innovations, Onkyo of Japan unveils the exciting W800BT, one of the world’s first True Wireless in-ear headphones. With absolutely no cables, the left and right earpieces work independently and connect wirelessly to a user’s smart device and each other. Each of the W800BT earpieces incorporates an Ø8.6mm high-powered driver that delivers a balanced sound across a frequency range of 6Hz – 22kHz. The closed acoustic architecture results in a clear and accurate audio experience with passive noise isolation. The right earpiece includes a microphone to enable hands-free calls and can be used with any Bluetooth™-enabled device. The W800BT also features a charging case to store headphones with its own internal battery, giving consumers the added convenience of four recharges. A CES 2016 Innovation Awards HONOREE in the Portable Media Players and Accessories product category the Philips Wireless Portable Bluetooth Speaker BT6600 delivers sound experience and convenience unsurpassed in a compact size speaker, sending 360o of high quality sound anywhere indoor or outdoor, rain or shine. Available in a variety of colors, the exciting and powerful speaker features Bluetooth™ multi-pair technology that allows consumers to connect three smart devices at the same time. It also includes NFC enabling easy Bluetooth pairing. Without the hassle of disconnecting and connecting a smart device to the speaker, this allows for simple tapping of an NFC-supported smartphone on the speaker, to quickly connect. Affording even greater flexibility, an extra-long built-in rechargeable battery and splash-proof design, lets consumers enjoy music for hours, anywhere they want. The BT6600 also features a power bank to allow charge of other smart devices. Gibson Innovations has announced the introduction of Philips Flite, a range of sleek and lightweight headphones offering clear, crisp sound, designed to be ultra-portable. Ultra-compact and foldable, this great new line is made for the active lifestyle of consumers, slipping easily into a users’ bag or briefcase and provide the ultimate music experience on the go. The range consists of three products: Aerolite, Everlite and Hyprlite. Aerolite and Everlite are over-ear headphones, with ergonomically tilted soft cushions mounted on the speaker plates providing a greater seal for enhanced sound isolation. The slimline design of the headband and glossy oval earshells create a sleek, minimalist design that is simple yet stylish. Aerolite and Everlite feature 32 mm high power speaker drivers and come in either black/gold or white/rose gold. Hyprlite earbud headphones use a compact, almost weightless design that fits seamlessly along the contours of the ears. Angled in the earbud style for improved listening and comfort, they feature additional bass tubes in the earcans that increase air ventilation to pump out deep, rich bass. Hyprlite features 12.2 mm speaker drivers to reproduce clear, crisp sound and deep, rich bass. It comes in black with a dark chrome finish, and white with a rose gold metallic gloss finish. Combining high functionality and reliability with elegant European design Gibson Innovations announces the release of selection of devices that complement Apple’s own modern, stylish products. These new Philips Power Accessories offer a fusion of form factor and function. Each accessory features simple and elegant designs with careful use of accent metals, textures and surprising silhouettes. These accessories also boast Smart Protection, a plethora of systems designed to protect connected devices that includes over-charge and over-discharge prevention, overheat prevention and short circuit protection. Ensuring complete ease of use at all times, these Philips Power Banks for Apple devices feature a built-in Lightning cable.